More shopping. Yuti went around with us to places near the Gordon House, including Fabindia, where I bought a cotton bedspread in blue, green, and purple, to go with some silk throw cushion covers I had bought on a previous trip – for the spare bed in my home office. I also bought a shirt or two, and presents. 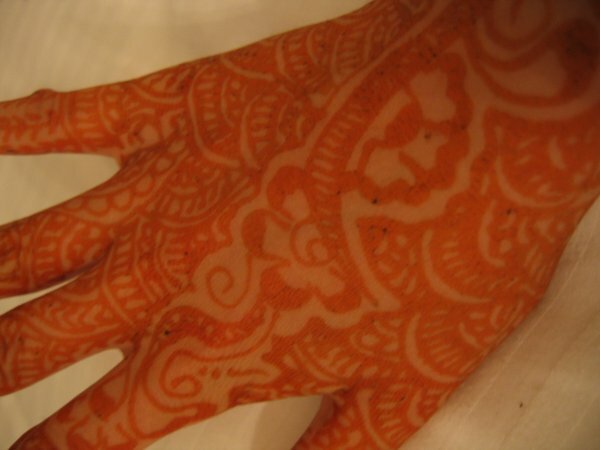 In the evening, back at the hotel, we had mehndi (henna) painted on our hands, something Indian women traditionally do for big occasions, especially their own weddings. 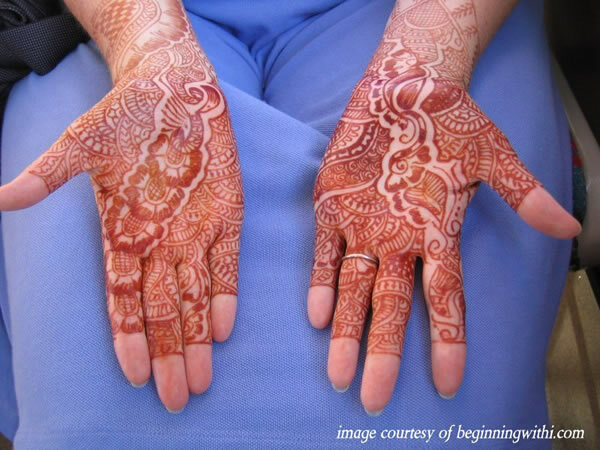 A complex design covering both sides of both hands such as we had done is called bridal because it’s most often done for brides (along with their feet). The artist was a Muslim woman named Mumtaz, who brought along a young (Hindu) apprentice. They had not met before, so the conversation between the two of them (in Hindi) was interesting. The Hindu girl was trying to express solidarity, or at least non-prejudice, with Muslims. She mentioned that she had a Muslim friend named Farzana. She asked if Mumtaz had children. Two sons, was the reply. “What are their names?” I forget now what Mumtaz said, but they were typical Muslim names. “You people have such pretty names,” the girl remarked. Even more fascinating was watching Mumtaz work. 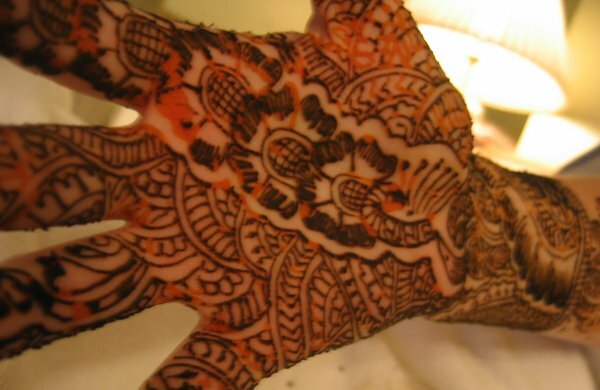 She told me that mehndi was a family craft that she had learned from her mother, grandmother, and aunts. 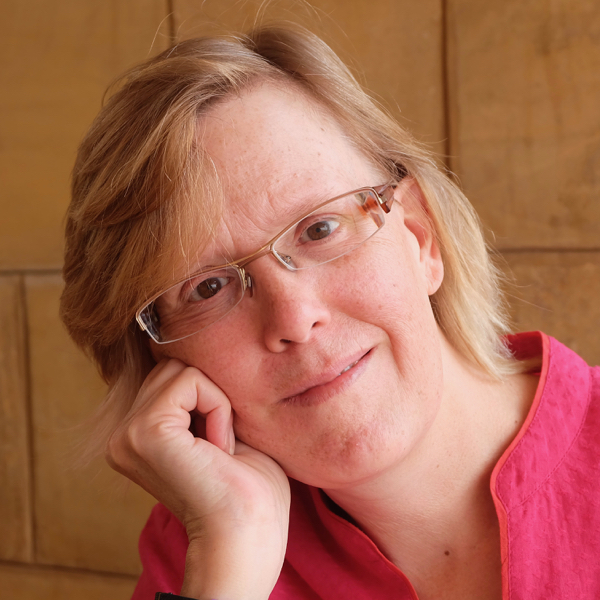 Note that the film is NOT speeded up – she really did work that fast. Nonetheless, it took over an hour each to finish me and Ross. As I watched, I realized that the paper doodles I’ve done for years are probably influenced by mehndi patterns; both are decorative ways to fill space. Though hands and feet are more fun to doodle on, and a well-chosen design, such as the vine pattern on Ross’ fingers, can enhance a graceful limb rather than just covering it. Mumtaz agreed with Ross that for me to do one hand and one foot would be weird, so I ended up with both hands done. At which point I couldn’t film anymore! By the time we got home two days later it had settled into a rust color. Over time it faded, and was completely gone in about two weeks. Initial reactions back in Italy were mixed. While Ross got compliments (“Ooh, pretty! Like Madonna!”), I got a lot of strange looks. People would glance at me and then do elaborate double-takes, sometimes frowning in confusion. But one man that I see frequently on the train gave me a huge smile. Someday I’ll have to get to know him and ask what that was about. This entry was posted in travel in India and tagged Fabindia, shopping in India, travel in India on August 14, 2005 by Deirdre Straughan.